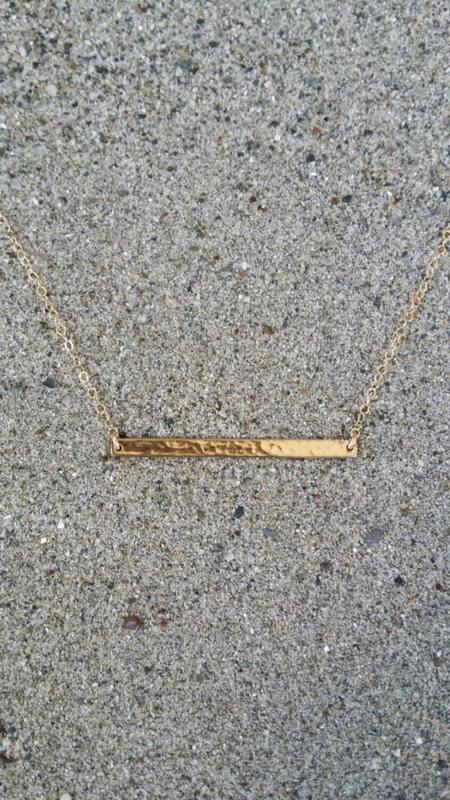 Our medium hammered bar necklace. Delicate and stylish. 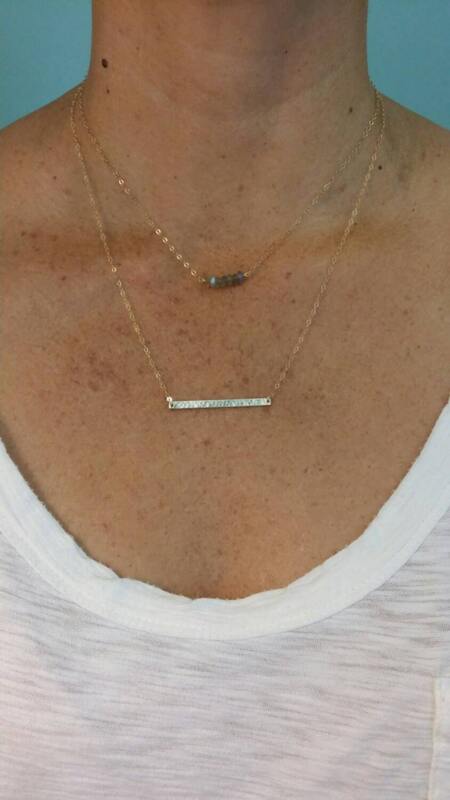 Perfect for every day wear or to layer. 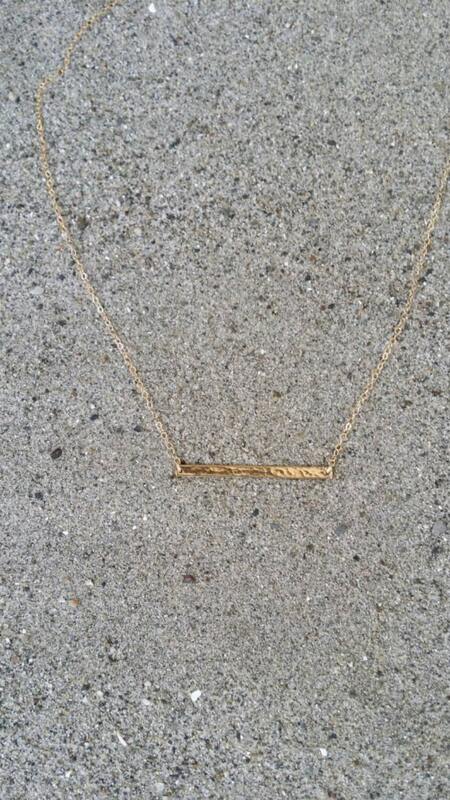 The 1.5" gold filled bar hangs horizontally from a gold fill chain attached to each end and closed with gold clasp. Shown here in 20" length. 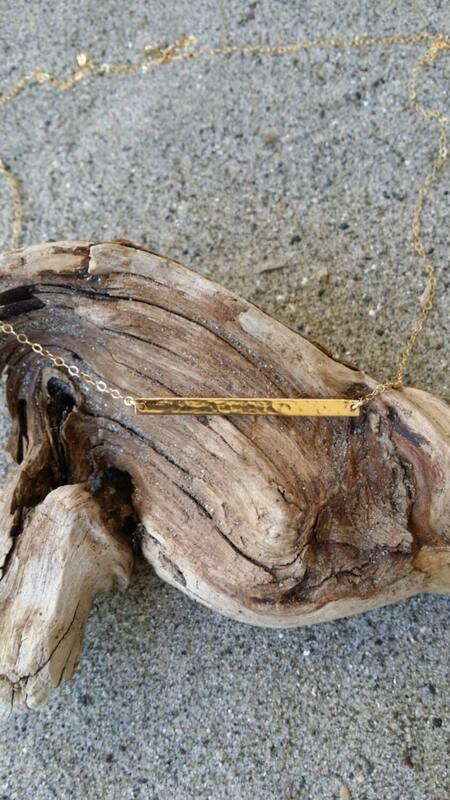 Shipping was fast and the necklace is a beautiful piece for everyday.